This section sums up the various awards and recognitions that the company has received since its inception in 2000. HDFC Life Cancer Care was awarded the prestigious Finnoviti 2016, an award that salutes the spirit of innovation. Finnoviti 2016 Conference and Awards recognize and reward innovations in BFSI sector and honour the innovators. 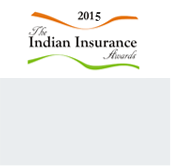 HDFC Life received the Indian Insurance Awards for Best Product Innovation (Life Insurance) by Fintelekt. HDFC Life won the SAP ACE Awards - Technology Adoption in Banking, Financial Services and Insurance (BFSI). HDFC Life received the Data Quest Business Technology Awards, Delhi Edition, for excellence in implementation & use of technology for business benefits, in the “Mobility” category. HDFC Life won the QCI - D. L. Shah Quality Awards - Gold Award for the case study Improvement in Persistency : A Win for ALL. HDFC Life won 5 awards in the Indian Insurance Awards, including the Life Insurance Company of the Year, awarded by Fintelekt. HDFC Life recevied the PCQuest Best IT Implementation Award for Qlik Insights BI Development as a Project with Maximum Business Impact. HDFC Life was recently adjudged as a winner in Private Service Sector (Large Organisations) category at the 10th National Award for Excellence in Cost Management held in New Delhi. HDFC Life has been recognized as the Celent Model Insurer of Asia for 2013, the highest honor among the 17 technology initiatives which are selected as Model Insurer Component in the Asia Pacific region. The company has also received two Model Insurer Component awards namely Model Insurer Award in the area of Underwriting and the other in Distribution/New Business. HDFC Life won its first ever Porter Prize for leveraging unique activities in strategy across the organization. A total of 120 organizations across different industries had applied for the prize and our company was amongst the six eventual winners. 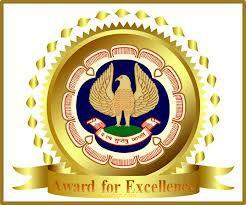 Won National Award for Excellence in Cost Management, awarded by the Institute of Cost Accountants of India. 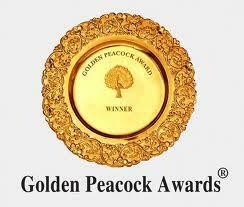 HDFC Life received the 'Golden Peacock HR Excellence Award’ for the year 2011 in the 'Banking Financial & Insurance Sector.’ Golden Peacock Awards have been instituted since 1991 by the Institute of Directors (IOD) a non-profit apex body of directors registered in India.